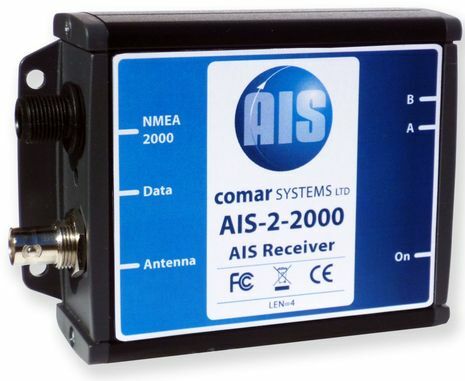 Comar’s U.S. distributor, Milltech Marine, is clear about how the AIS-2-2000 will ship ($399, real soon) able to output all existing standard AIS PGNs, which should cover Class A and B targets fine, and can be upgraded when NMEA gets around to writing PGNs for AIS ATON buoys and whatever else the authorities dream up. 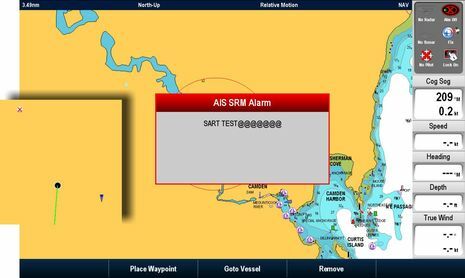 I like the sound of this as I’ve used two early NMEA 2000-capable Class B transponders that didn’t output the standard Class B static data message — Simrad’s AI50 and Raymarine’s AIS500 — and I’m not sure that an update has been offered for either yet. 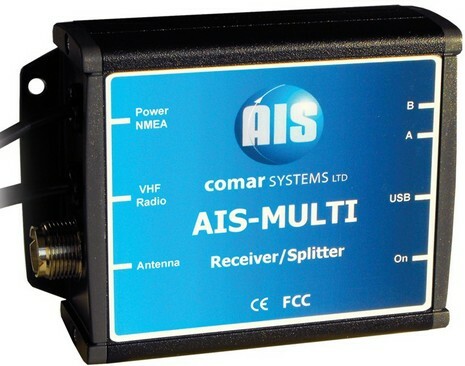 But while it’s no fault of Comar or Milltech, it is a disappointment that an AIS-2-2000 will have to be sent in for updates. 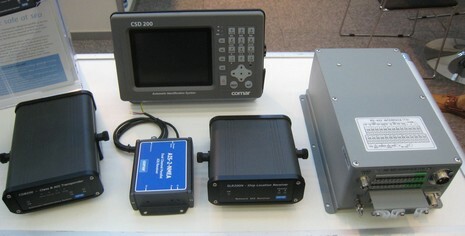 Which reminds me of the slick new Garmin NMEA 2000 Updater that a Panbo reader kindly pointed out, seen below. 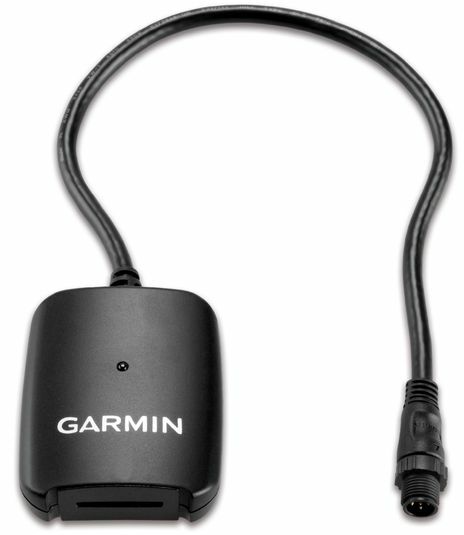 It’s just an SD card reader with an N2K port, costing $80, but it will be useful for boaters who want to try, say, Garmin’s GMI 10 and/or some of its sensors, i.e. Garmin gear without an MFD and SD card slot for updates. Garmin’s update process, incidentally, has gotten even better than when I last enthused about it. Check out how many devices they managed to bundle into the last package. I ran that update on Gizmo’s somewhat large N2K network the other day — no problem, even the N2K powered and controlled GXM audio/weather receiver hardly skipped a beat — and then passed the update card to a friend with an almost entirely different network of Garmin devices. At any rate, here’s an idea: Couldn’t NMEA spec out a standard SD card N2K update protocol that any company could manufacture and all companies like Comar could utilize for firmware updates? The project might even make sense for Maretron or Airmar, whose customers, or their installers, now have to use a PC gateway to update their sensors. Or maybe Garmin would consider letting other manufacturers update gear with their update device, adding value to it? There may be liability issues and so forth, but I can dream, can’t I? 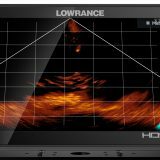 So this is plug & play with a Lowrance HDS-10? Cool! Yes, though there’s one possible glitch. Because there was no standard NMEA 2000 Class B static data message when Navico designed its two N2K Class B transponders, they created a proprietary PGN to do the job. The HDS definitely works with that PGN, but I’m not sure if it will now also work with the new standard PGN. 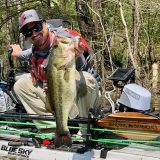 Worse case is that you will not see Class B vessel names, types, and sizes until this is resolved, but you will see Class B targets and all Class A info. Aw, Dave…I’ve been using all sorts of multi-vendor N2K networks for years, with virtually no major issues. 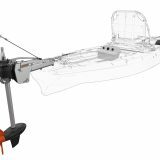 Ben.. tried setting up Maretron sensors from a raymarine N2k, or Raymarines stuff from a Garmin N2k or Airmarf stuff from anyones etc etc. its a nightmare, usually needing the same firms MFD or display device to set it up. Its all right for you with every device under the sun.. Thanks Ben, so are you saying that some future software update for the HDS units will cause the MFD to recognize what are now industry standard messages?